The Salamati Law Firm has devoted the last 20 years to seriously injured victims of negligence throughout the greater Los Angeles area. Sean Salamati offers zealous, results-oriented legal representation to those who have suffered as a result of car accidents, slip and falls, animal attacks, and many other personal injury claims. Mr. Salamati works to achieve the best possible outcome for every client, seeking maximum compensation for all damages including medical bills, lost wages, pain and suffering. When attorney Sean F. Salamati founded this Southern California practice, he did so with one goal in mind: to help those who were harmed through no fault of their own and ensure justice was served. Since 1995, The Salamati Law Firm has successfully taken on some of the most complex, challenging personal injury cases with excellent outcomes. The office features a prime location in downtown Los Angeles, and is convenient to residents in the greater metropolitan area in need of passionate advocacy and expert legal representation. Our staff speaks the following languages: Spanish, Farsi, Mandarin, Thai, Armenian. Se habla español. A debilitating injury has the power to completely undermine the stability of your life and affect the well-being of those you love most. Whether you were hurt on the job, rear-ended by a distracted driver, or attacked by a neighbor’s pet, the legal team at The Salamati Firm is 100% committed to seeing your case through to a successful outcome. 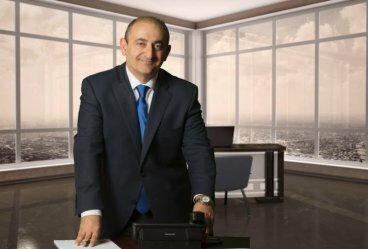 Mr. Salamati is fully prepared to take your case to trial and leverage years of experience winning premises liability, personal injury and car accident claims in state and federal courts. Attorney Sean Salamati works tirelessly to maintain close communication with clients throughout every stage of litigation. From navigating the maze of medical bills and investigation to filing suit and arguing before a jury, Mr. Salamati is a true leader that litigants trust and opposing counsel respect. Personal injury lawsuits are retained on a contingency fee agreement, and plaintiffs will pay no legal fees unless the firm is able to recover damages on your behalf. Los Angeles roadways are among the most dangerous in the state of California and even the country. 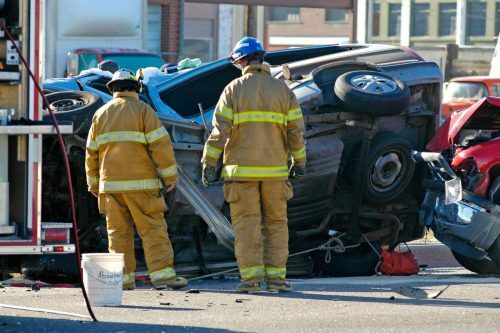 Serious accidents resulting in life-altering injuries are all too common. If you or a loved one has suffered a catastrophic car accident in the L.A. area, veteran attorney Sean Salamati can help. Call to learn more. Salamati Law firm is a full service accident and injury firm with focus on all areas of personal injury and negligence. If you’ve been injured, Salamati Law is with you every step of the way. Work with an experienced car accident lawyer, leading crash investigators, and some of the best accident reconstruction experts in the Los Angeles area. Though no amount of money can bring back a lost loved one, a successful wrongful death action can bring closure and justice for those left behind as a result of another party’s negligence. No one expects to slip and fall on someone else’s property, and property owners will do everything they can to make you believe your injuries are your fault. Accidents involving 18-wheelers or tractor trailers cause some of the most serious injuries on the road. A truck accident lawyer can help win maximum compensation. Liability in bus accidents can vary from carrier to carrier with different laws governing public and private carriers. Learn more from an experienced attorney. Dog owners and other pet owners are responsible when their animals attack. California dog bite laws and other strict liability rules may apply to victims of those who sustain serious injury. Motorcycles may be relatively dangerous as compared with cars, but injuries sustained in a motorcycle accident are not necessarily the fault of the rider. You have rights. Los Angeles bicycle riders enjoy many benefits including legislative action to protect their safety, and bicycle accident victims deserve the most experienced legal advocacy.